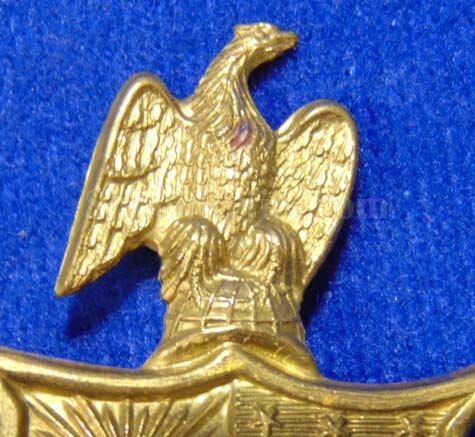 Here is a great original Civil War hat insignia. 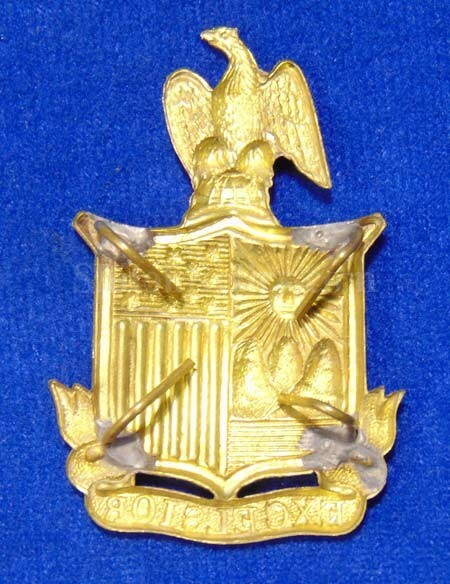 This is the finely stamped brass hat insignia with the design of the great seal of the state of New York. 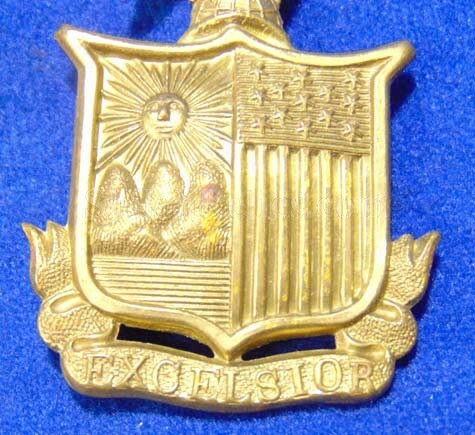 This is the classic Civil War New York with the state seal in the center . 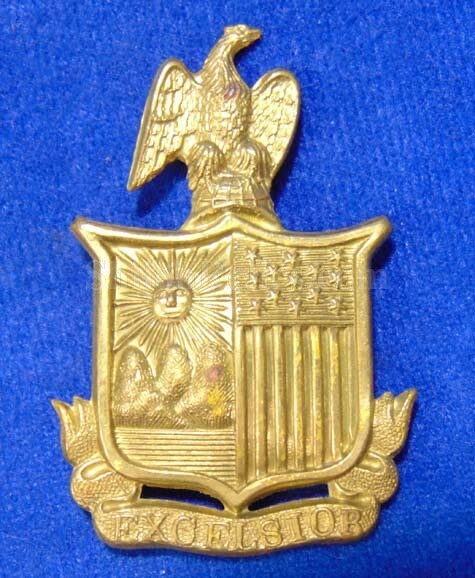 The New York state seal depicts the Eagle at the top with the coat of arms below. At the bottom it has the word "EXCELSIOR”, meaning "higher", written below it. You can see that the brass work is a very high quality. 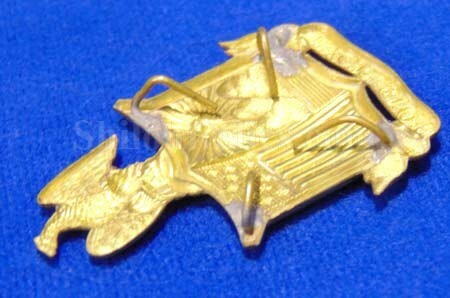 It still retains traces of the original gold gilding from the maker. There are all four of the piece still remaining on the reverse. The piece measures 2 inches tall and 1-1/4ths inches across. This is a very similar variation to the one used for the illustration of figure #697 on page 303 of the headgear insignia book by O'Donnell and Campbell. 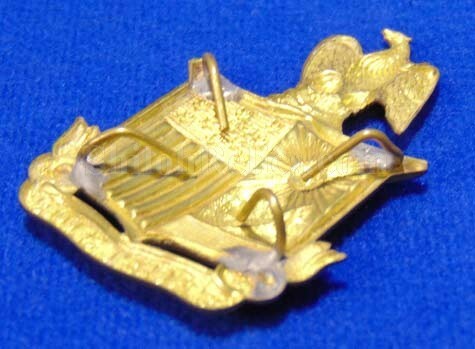 It is a fine original piece of Civil War hat insignia from the state of New York.